This section objectively presents relevant issues for insightful and impactful discussions and debates on Nigeria’s foreign policy, foreign missions and diplomacy. Romans, Saints, more so, Nigerians! Our Father beholds our hearts. Still we are loved, entrusted with gifts. We perish while smiling, scheming and sensible. The main theme of President Buhari’s foreign policy has been absolute national sovereignty with, tenets of peaceful multilateral diplomacy and foreign relations. 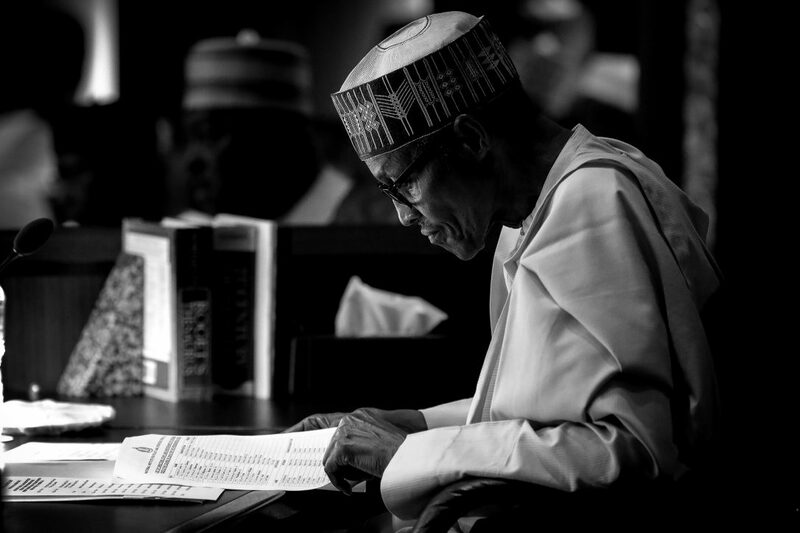 This theme characterized by high level diplomatic relations and negotiations, has seen the President Buhari’s administration arguably, successfully connect foreign policy efforts to the accomplishment of domestic priority programmes (security, anti-corruption, economy/job creation). Muhammadu Buhari GCFR (born 17 December 1942) is a retired Major General in the Nigerian Army and Nigeria’s former Head of State from 31 December 1983 to 27 August 1985, who became the 15th President of Nigeria on 29 May 2015. 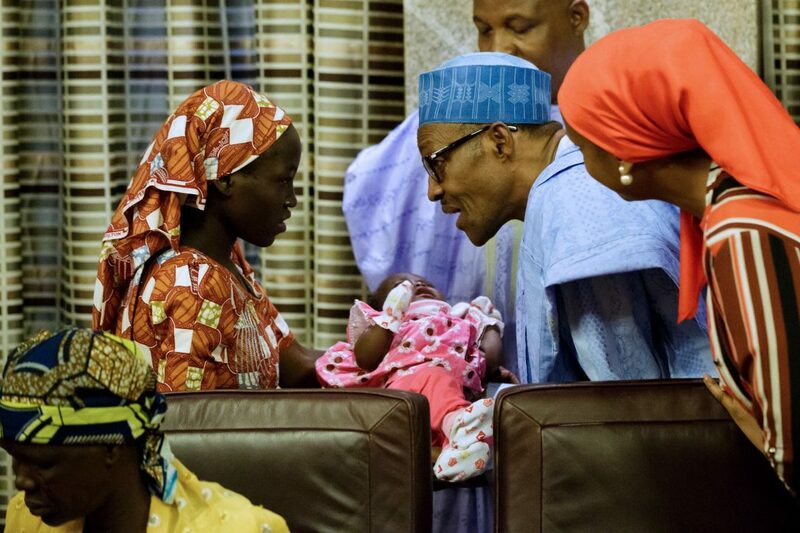 In Nigeria, he is commonly referred to as President Buhari or Sai Baba or simply PMB. He is a colossus by character and personality, a “converted democrat” dominating many aspects of political life and prevailing, in a decisive manner, in key moments in Nigeria’s rocky history. 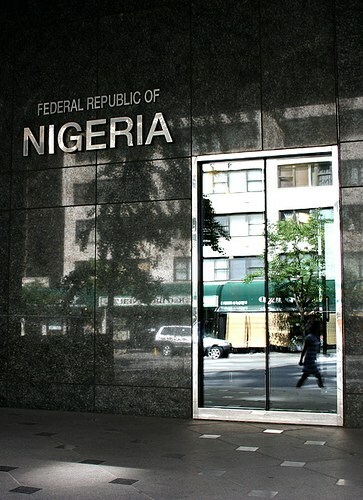 Nigeria’s foreign missions must be effective, efficient and indeed productive to be able to establish, facilitate and maintain positive diplomatic and foreign relations with other sovereign countries and international institutions through adequate diplomatic exchanges of administrative, socio-cultural, political and economic cooperation – all based on genuine representation of Nigeria’s foreign policy goals and objectives. Nigeria’s foreign missions can be categorised into diplomatic (embassies, high commissions, permanent delegations/missions and charges d’Affairs) and consular missions (consulates and area offices). In addition, the structure of Nigeria’s foreign missions varies according to the size, importance and the nature of Nigeria’s needs in the various countries or entities. Some missions are very large and undertake numerous and complex activities, while some are very small and attend to minimal activities. promotion of a just world economic order. Thus, at all times, these foreign policy objectives should be the guiding principles or frameworks for all Nigerian foreign or overseas missions – clear enough not to present a foreign policy of a chameleon nature. The diplomatic qualities of a Nigerian ambassador, high commissioner, envoy or diplomat must be distinguishable and upright to be able to effectively manage and represent the respective foreign missions of Nigeria and Nigeria’s interests. Thus, appropriate diplomatic character of a Nigerian officially accredited representative include patriotism to the Nigerian state and its ideals; enduring interest and passion for diplomacy and foreign affairs; knowledgeable (inter-disciplinary); factual, analytical and objective with a good sense of judgement; professional – discipline, sincerity, courageous, hardworking, tolerant, courteous, and exemplary diplomatic behaviour and protocol; teachable and dynamic to new learning experiences; physically and mentally competent; good communicator and an effective negotiator. The Nigerian Ministry of Foreign Affairs must be effective and efficient at all times in carrying out its responsibility of formulating, articulating and pursuit of Nigerian foreign policy trust and objectives. The independence of the Ministry must be also be maintained to avoid most especially political hijackers, who could transform the Ministry and the respective foreign missions to “political missions” taking away the core focus of the country’s foreign policy objectives. The Ministry of Foreign Affairs must also, be active in monitoring, reviewing and re-evaluating its vision, mission and proffer timely suggestions on its objectives – the foreign policy objectives; especially in such fast-paced and dynamic times. Nigeria’s foreign missions have been largely underfunded leading to diplomatic embarrassments such as Missions owing rents, allowances of diplomatic officials often in arrears, – all of which affects an effectiveness, efficiency, clout, and confidence of these Missions abroad. 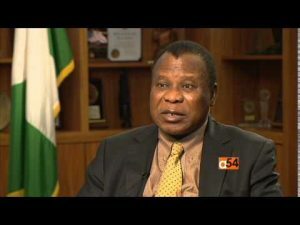 The Nigerian government must take pro-active actions at empowering the overseas missions by ensuring that these missions are well funded to meet their ever expanding tasks and responsibilities, just as Heads of Missions should be judicious and sensible in managing available resources at their disposal. The recruitment policy and process for the Nigerian foreign service must emphasize qualified personnel of the highest competence, adequately numbered personnel and adequately equipped or trained personnel to practice the art and science of diplomacy for effective foreign policy implementation. Political interference should be discouraged in these regard also, which would be detrimental to the goals of the Missions and set standards. Making the recruitment of the Foreign Service a matter of high politics encourages parochial interests in “Soft Mission Locations” or “First Class Missions” such as London, New York, Washington, Ottawa, Jeddah, Paris, Beijing, etc. It is important that the ratio of career (50%) and non-career – political appointed (50%) Heads of Missions appointments is immediately reviewed. The very likely implication of this current trend is that whatever fortune of a particular mission is in terms of subvention, would depend also on the political weight of the head of mission as some powerful political ambassadorial appointees have direct access to the President. Financial appeals would be made directly to the President rather than the officially [often] tedious channels of communication established for such purposes, which makes it possible for such Missions to get more funds than those headed by career diplomats. The currency of diplomacy is trust and power and the voice of any official representative (even non-official representative) and Nigeria’s foreign missions becomes potent, authoritative, trustworthy, loud and clear when the economy is growing, political and religious tolerance is adhered to, security is assured, transparency and accountability are upheld, social justice and equality are instituted. The lack or neglect of these makes it very difficult and complicated for any professional accredited diplomat to achieve and maintain the goals or objectives of the Nigerian state. Therefore, the Nigerian government must ensure that its foreign missions, diplomats, and image are not rendered voiceless and handicapped. Your OPINION: HOW EFFECTIVE & PRODUCTIVE ARE NIGERIAN Foreign Missions? Therefore, from your experiences, insights, observations and understanding of the role of Nigeria’s foreign missions, do you believe that these Missions are effective and productive? Are Nigerian Foreign Missions Effective & Productive? The Nigerian national symbols are fundamental features of the Nigerian national identity with profound emotional and socio-cultural connections to the sub-consciousness of Nigerians eliciting a sense of belonging, love, trust and unity. In Nigeria, these symbols and their importance are taught from the earliest stage of learning at immediate environments and schools as well as to be accorded with great respect. Composed and adopted in 1978, this is the country’s national song with a nationalistic call for patriotism, love, hardwork, peace, unity, freedom, truth and justice. The national pledge is recited immediately after the national anthem as a promise, vow or commitment of loyalthy, honesty, service and unity to the country. The national flag symbolizes in peace, the collective national wealth/prosperity of Nigeria. The Coat of Arms of Nigeria represents the rich natural diversity and historical splendour of Nigeria. These are common symbols; and there exist more of them such as the Nigerian currency (Naira and Kobo), the seat of the Presidency, etc. Therefore, the Nigerian national symbols express strong and specific national ideas and serve as representations of Nigerians at home and abroad, their values, aims, or history, without which no nation can be strong. After independence, Nigeria will largely be judged by the quality of the representation overseas, its diplomatic service. It is very easy to say that Nigeria should only be represented by the best; it is rather more difficult to define what the best is. In determining the qualifications for the new service, government has these considerations in mind: first, the candidate should be well educated; second, he must be or should be trained to be a civil servant divorced from politics, and third, he must acquire proficiency in languages. 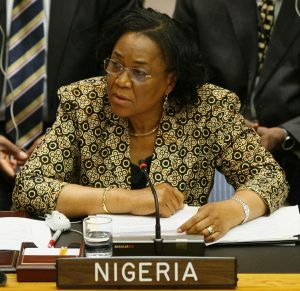 As stated in the article Appointing Nigerian Ambassadors (2016), Nigerian ambassadors are official envoys, the highest ranking diplomats who represent the country and are usually accredited to another sovereign country/state, or to an international organization as resident representatives of the government or sovereign or appointed for a special and often temporary diplomatic assignment. Indeed, such an honour, privilege and enormous responsibility! An honour that requires knowledge and understanding of the Nigerian national identity of which the Nigerian national symbols are the cornerstones. Last year (2016) however saw a recurring incident in which ambassadorial nominees screened before the Senate Committee on Foreign Affairs as presented by President Muhammadu Buhari were unable to confidently display their knowledge of the Nigerian national symbols notably the national anthem and pledge and in most instances required the intervention or assistance of the panelists. This national blunders goes beyond the debate of appointing career and non-career diplomats as ambassadors, which could be attributed to genuine ignorance, panic/fear of the occasion, lack of self-confidence, lack of a true patriotic spirit, unpreparedness, etc. Significantly, such dramas questions the quality of Nigeria’s representation overseas; the knowledge and patriotism of its accredited foreign representatives; the state of our education considering that from the cradle we are taught and exposed to the national symbols; the standard measurement of treatment between when a Primary 5 student fails to recite the anthem or pledge and when a nominated ambassador does same; institutional effectiveness considering if all Nigerians not just foreigners display basic knowledge of the Nigerian national symbols before obtaining the Nigerian passport; as well as a lot of other questions. Nigerian National Symbols & Ambassadors: Your Opinion! Therefore, from your experiences, insights, observations and understanding of the importance of the Nigerian national symbols, do you believe that it is mandatory for nominated and accredited Nigerian diplomats and ambassadors to know and understand the Nigerian national symbols? Knowledge of Nigerian national symbols should be mandatory in appointing ambassadors? The qualities of a Nigerian diplomat are distinct, honourable and indeed learnable. A Nigerian diplomat is an individual appointed by the Federal Republic of Nigeria to conduct international or diplomatic relations and negotiations with one or more other states or international organisations on behalf of the country. Such important responsibility and honour requires adequate preparation, distinctive qualities, attributes, characteristics and skills to perform excellently in representing the interest(s) of the country effectively. The following are recommended diplomatic qualities of a Nigerian diplomat. In the discharge of his or her duties, every Nigerian diplomat must be patriotic enough to love the country – Nigeria and be ready to promote and defend the country’s interests and set goals. It is important to recommend at this point that a Nigerian diplomat must be able to define his or her personal political ideology and consider how compatible it is with those which he or she is to represent before accepting this significant responsibility. This is important to avoid any unforeseeable professional dissatisfaction and treachery. To be a successful diplomat, have an enduring interest in and passion for the technique and profession of international relations and diplomacy – you have to be excited by the engagements of the international community and openness to understand world affairs. Relevant history, geography, law, religion, economics, politics, sociology, philosophy, language and literature, media and communication are all very important disciplines that should make up the knowledge base of a successful diplomat. The diplomat is an inter-disciplinary professional and should be well informed with the understanding that these various inter-related disciplines does illuminate choices and prove valuable in providing answers to central questions of policy formulation and implementation. Relevant knowledge about Nigeria is also very crucial. As a diplomat, it is hugely beneficial to consistently convey a good sense of judgement and reason by possessing an intelligent and sound mind of patiently examining relevant facts available within your reach before deciding and pursing on a set course of action. In other words, always pay attention to detail. It is a very important skill for a diplomat to be able to effectively communicate his or her positions to relevant audience both verbally and in writing. Due to the increasingly dynamic environment in which the diplomat operates, he or she must continuously, be conscious to quickly and smartly process information, listen attentively, be clear, brief, and maintain a friendly ambience. It is also very rewarding for the diplomat to be learn, understand and interact in the primary language of the host country especially if this language differs from the diplomat’s natural language. All through the career of a diplomat is a constant learning experience, which must be quickly embraced to be able to perform at an optimal level. Regular travels, different cultures and peoples with unique perspectives, extraordinary assignments, etc. would be encountered by the diplomat and therefore has to be teachable, dynamic and flexible. The Nigerian diplomat as a professional must be disciplined, honest, truthful, courageous, accountable, hardworking, respectful, tolerant, polite, courteous as well as exemplify diplomatic behaviour and protocol. In the international environment, at the very least, every diplomat has a principal duty to promote the interests of his or her country or state and as such expected to be able to tactfully try to reach an agreement or compromise by discussion with other diplomats or foreign government representatives. It is not a kill-zone and should not be looked to or treated as such rather, be open to seek for a win-win solution and maintain awareness of beneficial opportunities towards the negotiated issue considering first, the clear line(s) to be maintained guided by the diplomat’s national interest. Thus, a Nigerian diplomat must be conversant with various useful and positive negotiation techniques to be able to achieve his set aim and agenda. With the huge responsibility of a diplomat and the associated pressures, being fit physically and mentally with convenient exercises is highly recommended to be in good health, sound mind and resilient spirit. Qualities of a Nigerian Diplomat: Your Opinion! Therefore, from your experiences, insights, observations and understanding of the qualities of a Nigerian diplomat, do you believe Nigerian diplomats currently possess the appropriate diplomatic qualities?